I just Hate it when I'm taking my baby for a walk or I'm in a store and her sippy cup or toy falls on the dirty, nasty ground. There goes all chances of keeping her happy, because I certainly can't let her put it back in her mouth. If only there was a way to keep things from falling on the ground! There is! Now you can "Stop Playing Fetch" with The Little Lasso. It is an awesome invention. 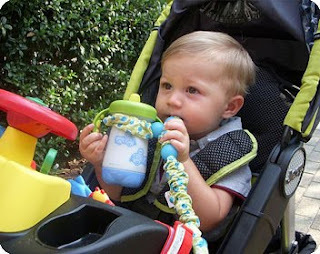 The adjustable strap holds sippy cups and toys securely while the link on the other end holds tight to carts, strollers, etc. 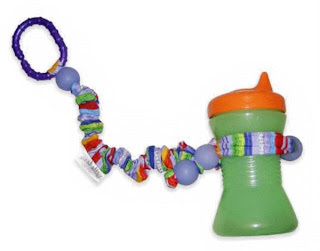 The strap is the perfect length so that when I took my baby for a walk, her toy didn't even touch the ground when it fell. The strap is made with elastic so that it stretches and is covered by machine washable material. I threw mine in the wash after she got food on it and now it's nice and clean again. I also loved using it in the car so that she didn't start screaming because she lost her toy, since she couldn't lose her toy! I wish I'd gotten this a long time ago. It makes my life so much easier. 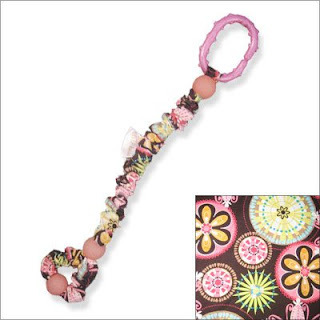 The Little Lasso comes in a variety of fabrics to be oh so cute for your little one! Visit The Little Lasso and buy your own sanity saver! The Little Lasso has generously offered one of our lucky readers a Little Lasso of their own! Mandatory entry: Visit The Little Lasso and then come back here and let us know what color you would love to own! You must complete the mandatory entry before doing any extra entries. 1 Entry: Follow our blog publicly (found on right sidebar). 1 Entry: Subscribe to our blog via reader. 3 Entries: Post about this contest with a link back to our blog AND a link to The Little Lasso (Leave a link back to your post in your comment). 1 Entry: Follow us on twitter and tweet about this contest. You may do this once daily (always leave the link in your comment). 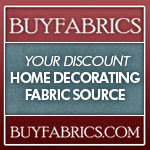 2 Entries: Add our button to your blog. Good luck! Contest ends on April 10th at midnight. Winner will be announced May 11th. Please be sure to include your e-mail or have it in your profile so I can contact you if you win. Thanks! I like the Tropical Squiggle Lasso fabric. i like the Blue Disco Dot lasso, it definitely seems the most unisex. "like" the little lasso on FB!! I like the Cabana Stripe lasso!! Love the Cabana Stripe Lasso. I like the blue disco dot!